CLEVELAND (AP) — Carson Fulmer pitched five strong innings in a matchup against Corey Kluber, Kevan Smith drove in two runs and the Chicago White Sox beat the Cleveland Indians 2-1 on Saturday night. Cleveland clinched the best record in the AL earlier in the day when Houston lost to Boston. The AL Central champions will play the winner of the wild-card game between the Yankees and Twins in a Division Series. 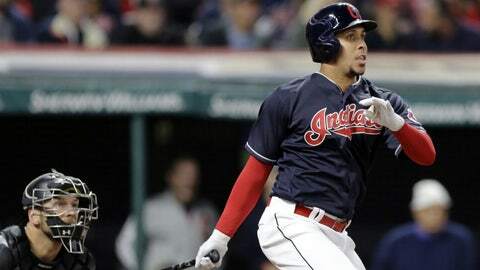 Michael Brantley had a pinch-hit single in the fifth for Cleveland, marking his first game action since spraining his right ankle on Aug. 8. The two-time All-Star worked Fulmer (3-1) for a 10 pitch at-bat before sharply singling to right. Smith doubled off Mike Clevinger (12-6) in the sixth, scoring Avisail Garcia for a 2-1 lead. His RBI single in the fourth off Kluber — an AL Cy Young Award contender — scored Jose Abreu.